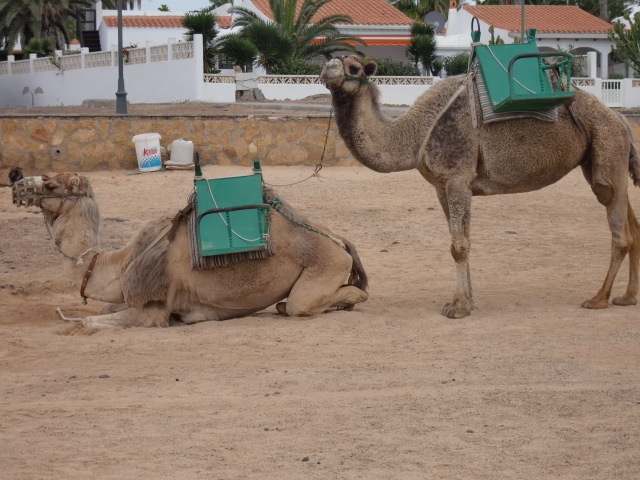 On my last day with the hired bike, I decided to head south and visit the second largest town on Fuerteventura, Gran Tarajal, and also check out the many references to a sports training hotel in Las Playitas. 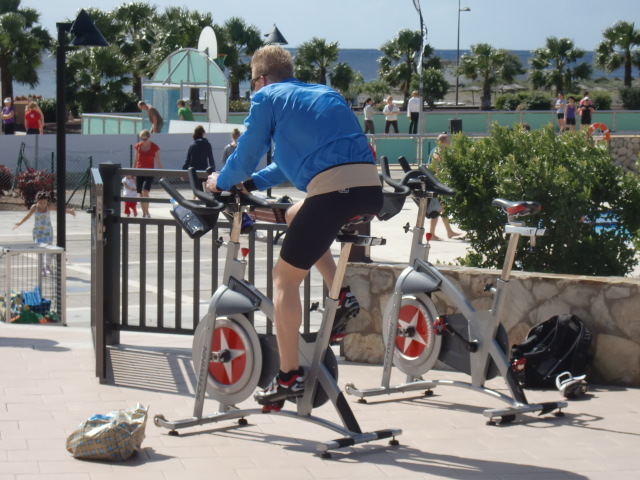 Everyday, I encountered numerous racing cyclists, either riding in pelotons or solo, obviously in training for the forthcoming season. Where were they coming from? 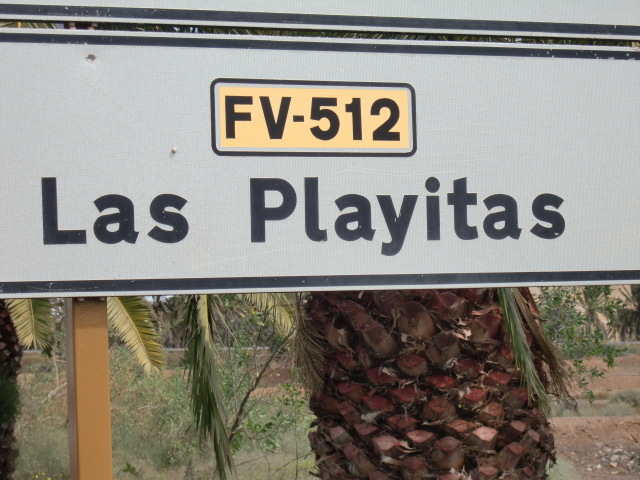 A German couple I met the other day told me about a hotel in Las Playitas that specialised in training camps. 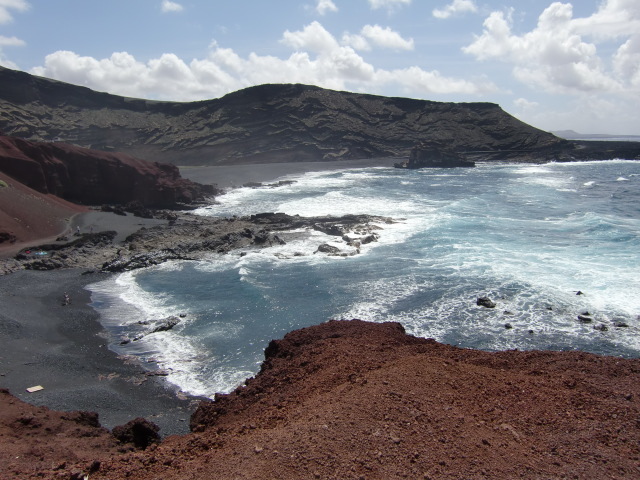 When I eventually found it, several kms off the main highway, obscurely hidden in a small cove with a ´fantasy beach´, I expected the frontage to be swarming with cyclists ready for the off, and their bikes littering the entrance lobby. The opposite was the case. No sign of any bikes. I had to enquire at reception if this was the hotel. 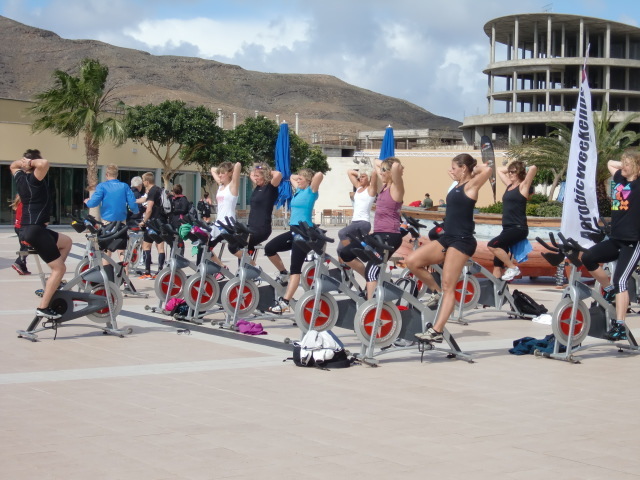 I was not only in the right place for budding triathletes, but I discovered the hotel catered for a plethora of sports, including tennis and golf, each discipline with its own team of professional coaches. the beach. Their purpose was to get themselves primed for the new season in their sport. for those who had an artistic talent to develop. For those of you who spend hours driving yourself hard in the heavy atmosphere of an indoor gym, imagine doing what you do out in the open, in 25C of sunshine, looking out onto a white beach and blue sea! 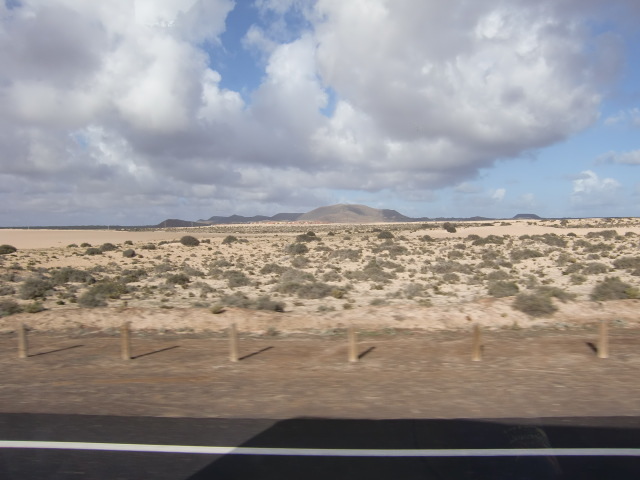 Fuerteventura: Whether the weather be hot! Whether the weather be hot, whether the weather be cold………………. 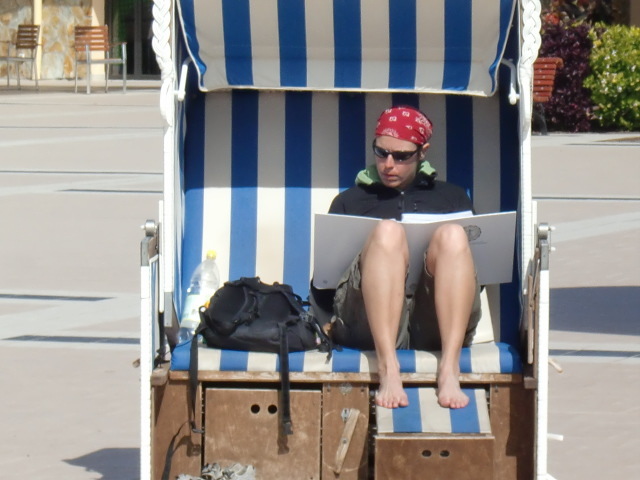 my sympathies (only just) go out to all the turistas de playa (beach holidaymakers). The weather has really cheated them this last week. 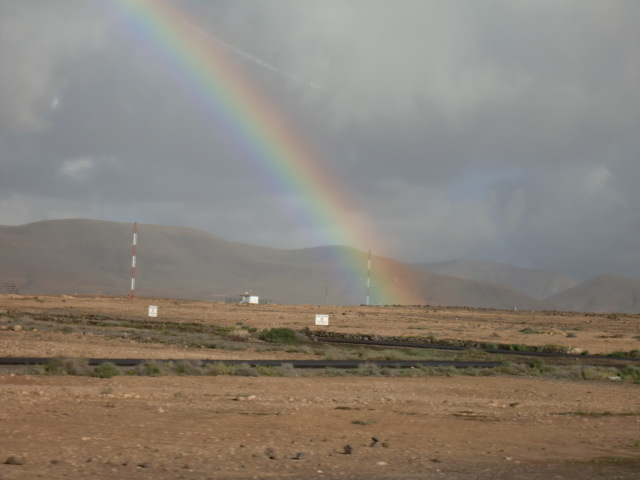 almighty shower on the way back to Caleta. But who cares? It´s only water, after all! 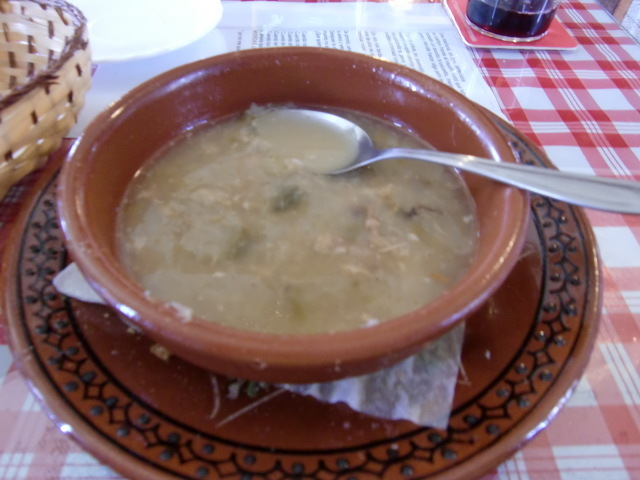 Caldo gallego. 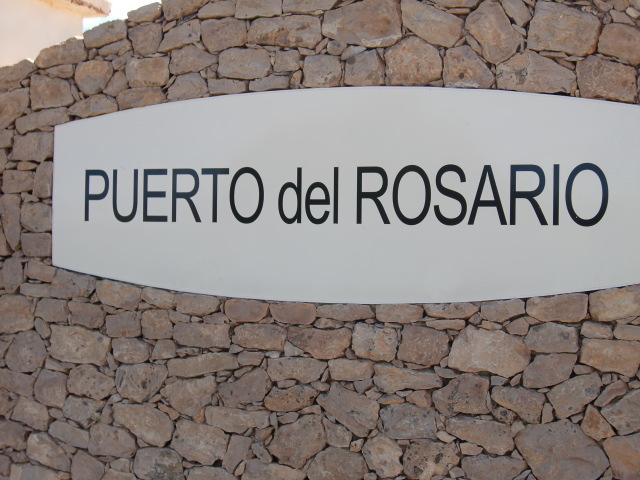 Back in Puerto del Rosario, I warmed through with a piping hot bowl of Galician stew in a bar owned by a gallego (Galician). 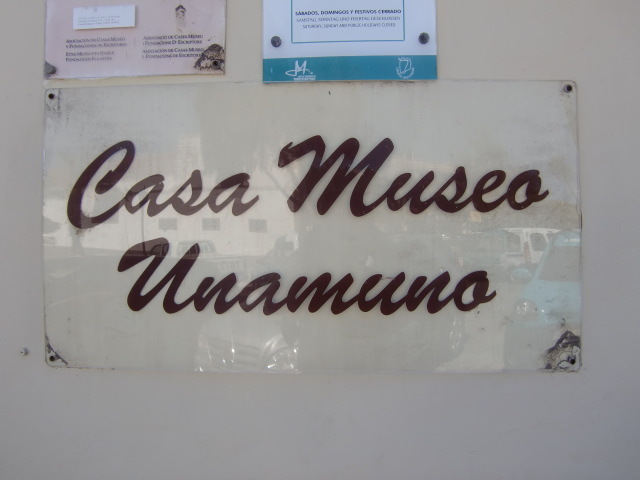 Like the Irish, the gallegos have populated many countries in the world with their emigration over the centuries. 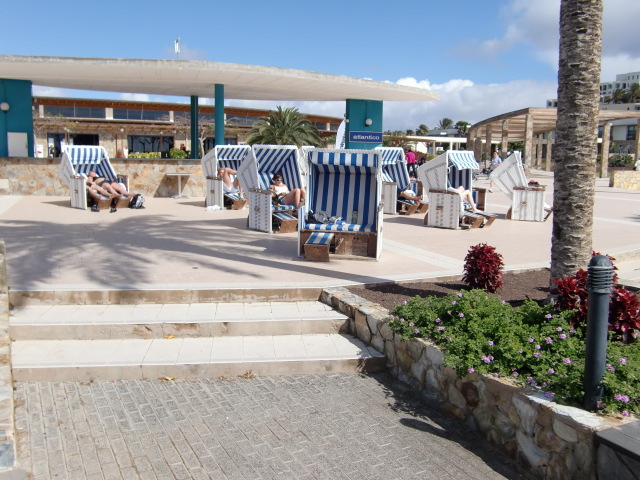 Fuerteventura seems to have been a popular destination, especially when tourism took off and work was freely available. 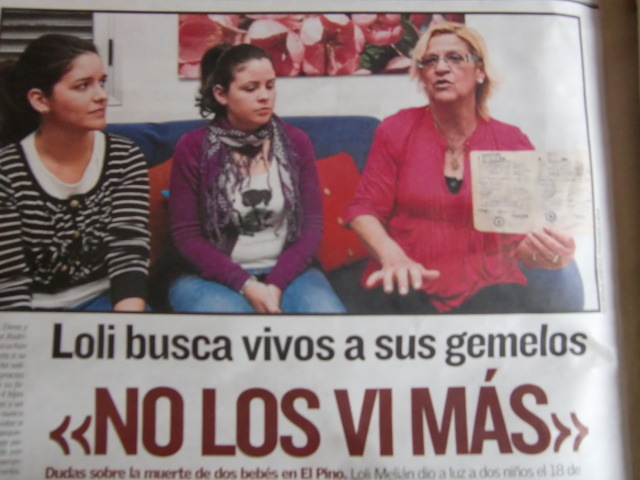 babies were being stolen from their parents and sold on for adoption. There appear to be over 700 cases. 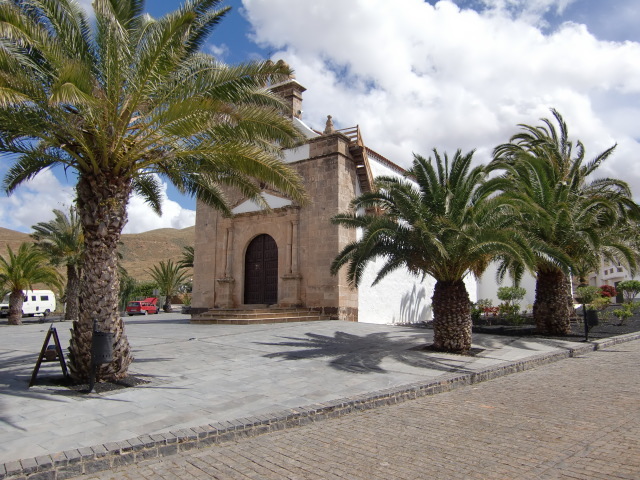 This mother in Fuerteventura had given birth to twins when she was only 17 years old, and they both mysteriously died within days in intensive care. They were buried in a common grave for infants, but she always suspected that the truth was not quite what it seemed. Carnavals. 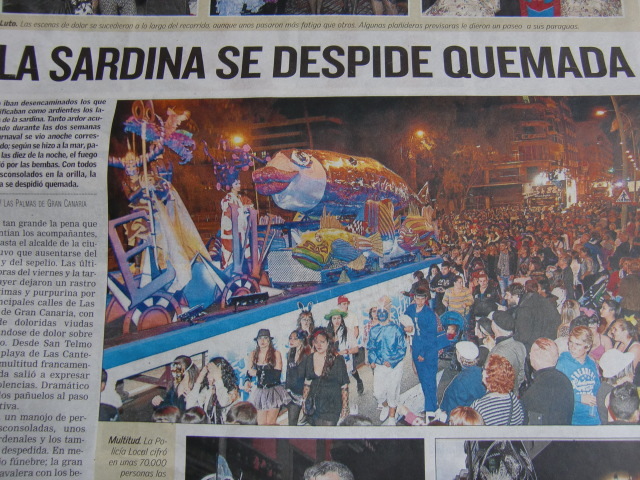 The period of Lent is always heralded by the famous Carnavals, and they are celebrated here with gusto. Everybody dresses up, there are competitions and processions, and the star acts nearly always include preposterous drag queens. The whole period of festivity is concluded with the ceremonial burial of the Sardine (look it up on Wikipedia!). 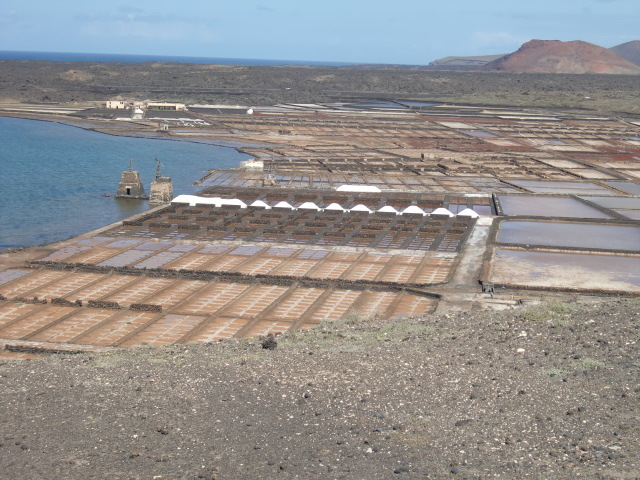 Boom in Canaries tourism. The last few months have seen an extraordinary boom in tourism, due almost entirely to the crisis in North Africa. Every cloud has a silver lining! (well for some). 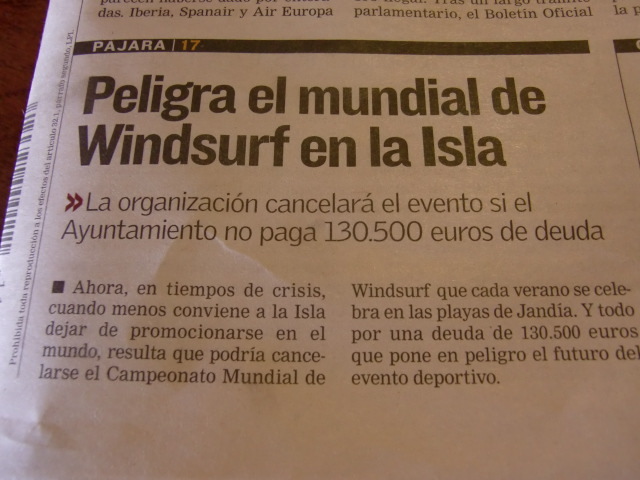 International windsurfing championships. 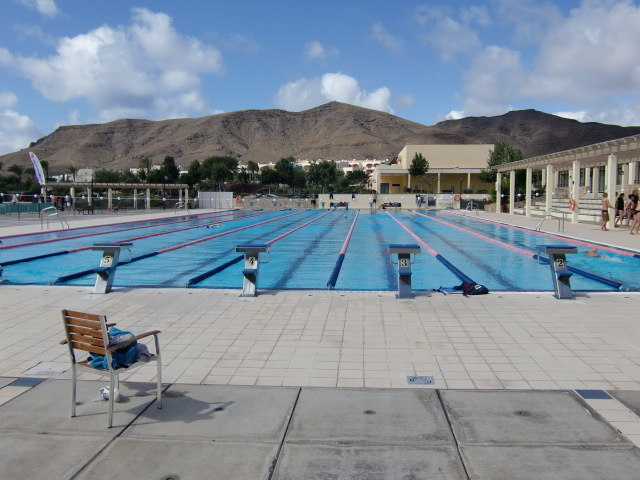 There is a danger these will be taken away from Fuerteventura, if the regional government concerned cannot honour the debt it accumulated with last year´s championship. If it loses this, it will be an enormous blow to the local economy. 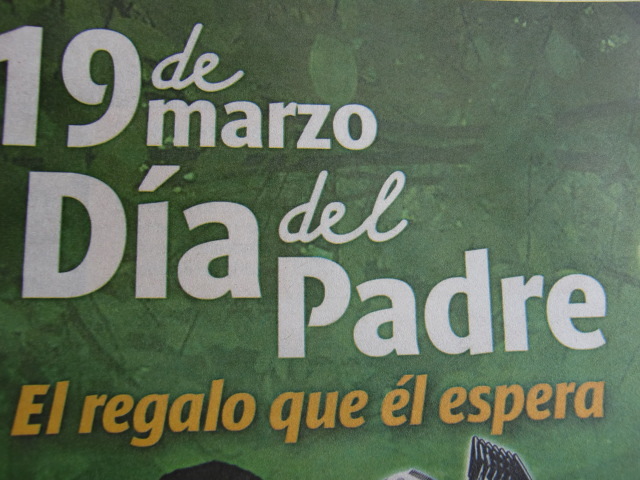 And in case you need to prepare for it, you should know that Spanish Father´s day is on March 19th. If you believe the press and advertising, children all over the country will be rushing out to buy their Dads the very latest in iPods, iPhones, iPads………………. Oh dear! 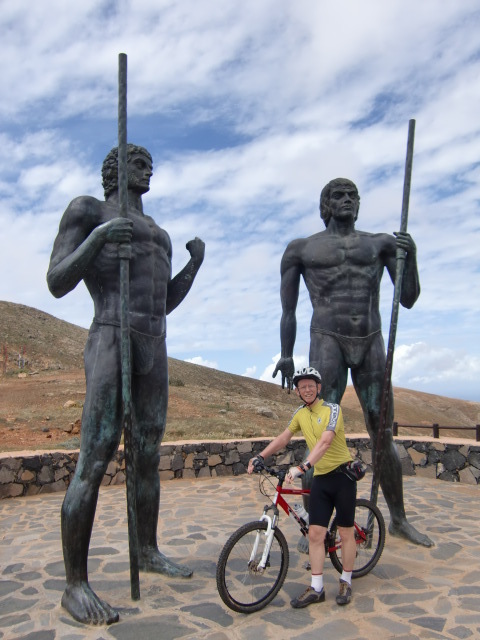 The most exciting circular ride for a cyclist was within a day´s ride from Caleta. The distance was only 80kms(50 miles), but what really counts is the dramatic change of elevation (several times) and the direction of the wind (forecast today to reach gusts of 70kms per hour). Today´s route took me into the depths of the hinterland, with looming mountains and cloud formations coming from the west (which means “rain-bearing”). 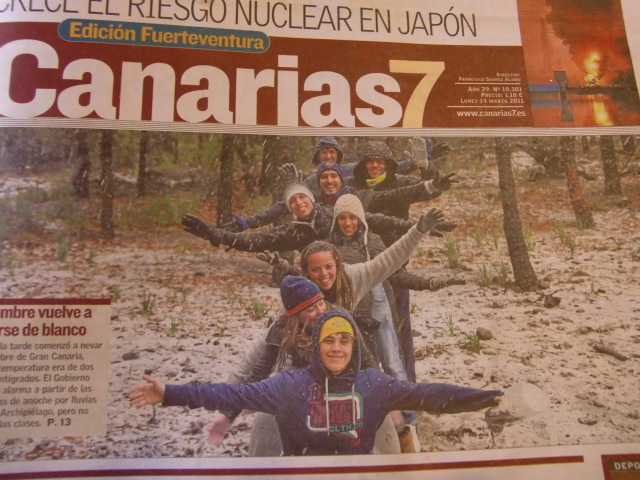 I met people who had been caught in a deluge, but I escaped with only a sprinkling (the god of the mountains was on my side!). 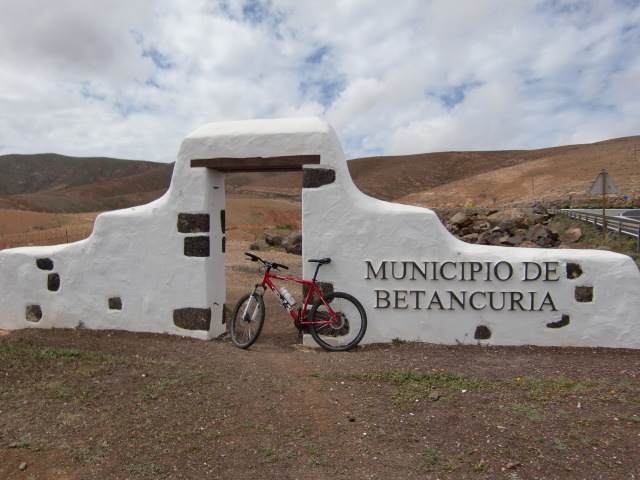 I passed through villages with evocative names like Valles de Ortega, Tuineje, Agua de Bueyes, Pajara, and once more through Betancuria and Antigua. 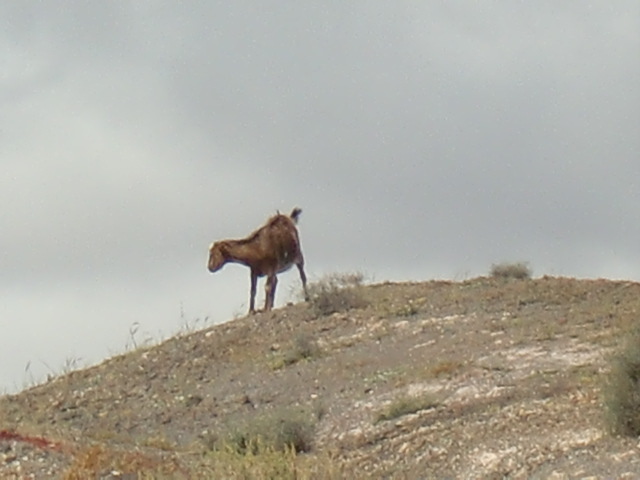 tasted the goat´s cheeses) it wasn´t till today that I spied my first goats, and then continued seeing them all day! Windmills continued to abound (no longer working since the island no longer produces its own cereals) and, at last, I found a church open (well, it was Sunday!) 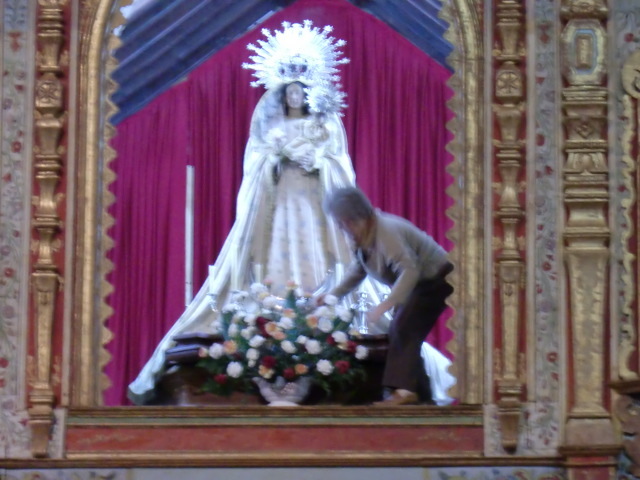 in Pajara, and lazily watched a local parishioner arranging the flowers around the sumptuous statue of the Virgin. My route over the tops to Betancuria saw me encounter dozens of “roadies” in training, chipmunks who expected to be fed by parked tourists, and this very sad, poignant memorial by the side of the road. 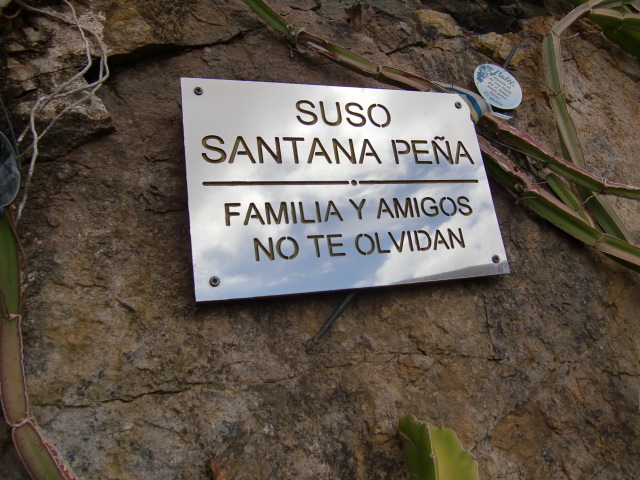 A small mountain garden had been established to the memory of Suso who, presumably, had died in an accident. It was bedecked with loving domesticity. bike which meant, of course, slowing down: very sad on long descent! The mountain gods were again on my side. Ten minutes after arriving back at base, the heavens opened again. 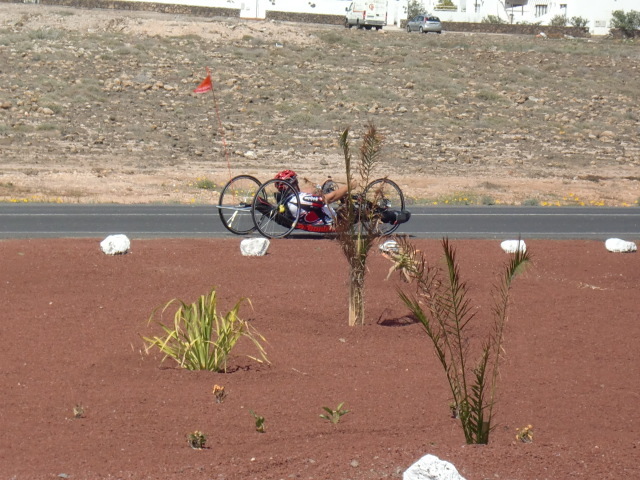 Amongst the many people encountered today was a German couple, both riding top quality triathlon bikes, who regularly come over to one of the Canary Islands for some winter training. Their company was informative and very pleasant (unlike the vast majority who train with a sports camp, who pass you by as if you didn´t exist!). Snobby lot! 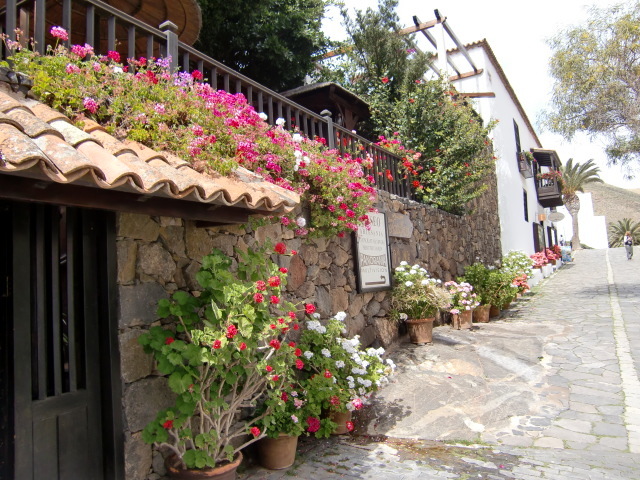 Footnote: enjoyed a “tapa” at lunchtime called “ropa vieja”(old clothes! ): a stew of chick peas, pork and potatoes. Delicious! And I was served a huge portion, not a few mouthfuls, as expected. 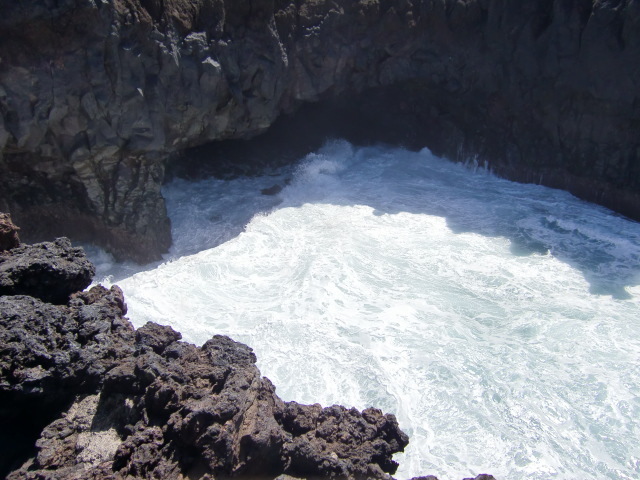 cauldrons´ produced by the sea rushing into volcanic caves, and El Golfo, a semi-circular volcanic amphitheatre that amplifies the furious crashing of the seas on the western coast. cycle wizzing around a roundabout. Any sympathies I had because of the disabilties of such cyclists disappeared completely when I realised I had absolutely no hope of ever catching up with this one. He was out of the starting blocks! Later in the day I was to encounter another, and I began to wonder if there was a special training camp for para- olympic cyclists. Not only is this island swarming with cyclists doing their winter training, but you may have to dodge out of the way of hoards of quad-bikers, “quadding” the length and breadth of the island. 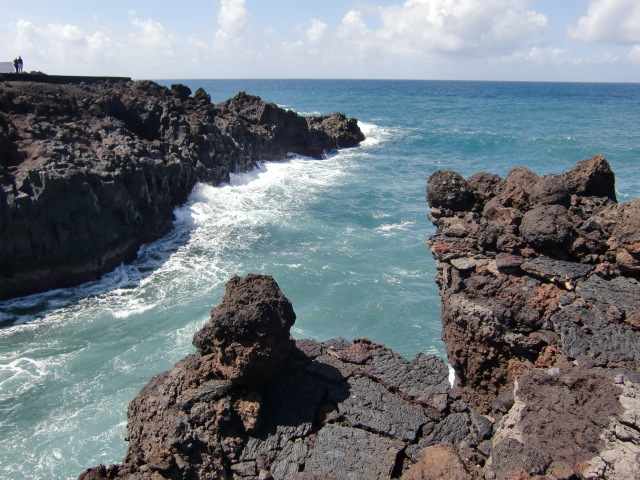 The western coast of these islands is not the haunt of beach-lovers. 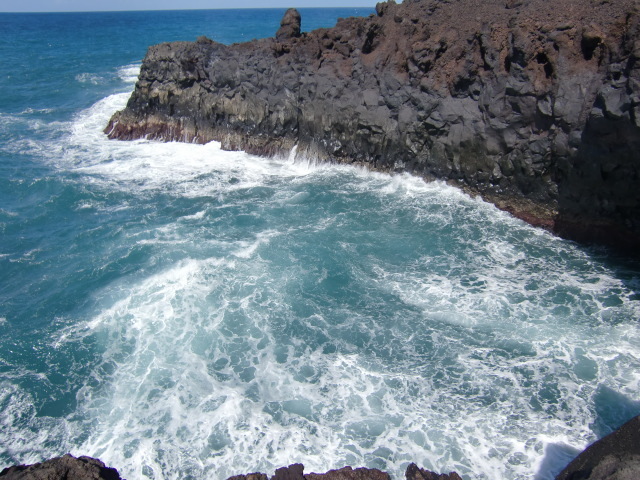 The wild winds and crashing seas make this volcanic shoreline a visual fascination, and a coastline to be treated with respect. (We once nearly lost our daughter to an unexpected surge from the sea, and we remember that moment with recurring nightmares). 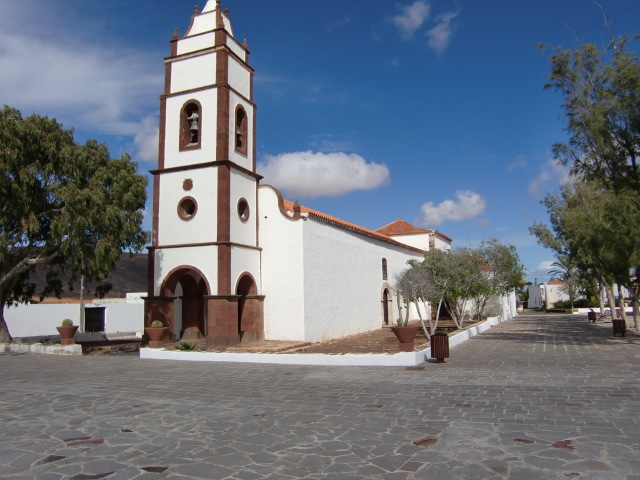 the woodwork (the inheritance of the efforts of Manrique to save the environment from the nasty developments of the peninsula). 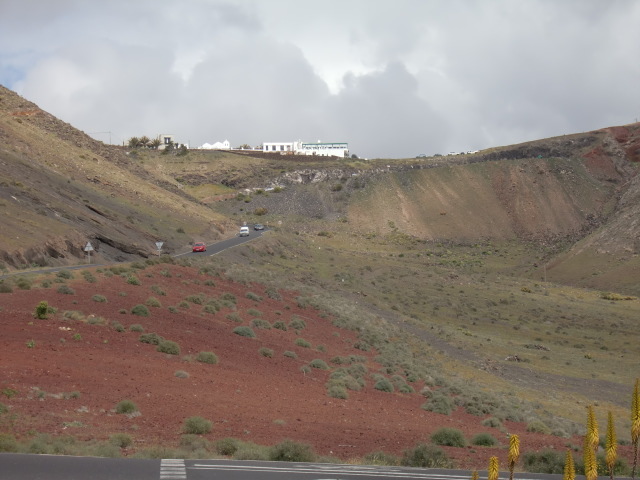 Arriving at Fermes, on a high promontory overlooking the south coast, I was terrified by the steepness of the drop down to the plain. It felt like a 25% drop, the point at which you feel as if you are being tipped over the handlebars of the bike. only a cyclist can feel them, helped me understand, not only why there are so many winter-training cyclists on the roads, but also why this island is the scene of a famous internation Iron-Man competition later in the year. As the western world was waking up to the dreadful news of the earthquake in Japan and the threatened tsunami, I set off optimistically for a full day´s ride into the mountains, only to be caught by a major thunder storm, which drove me back to base. 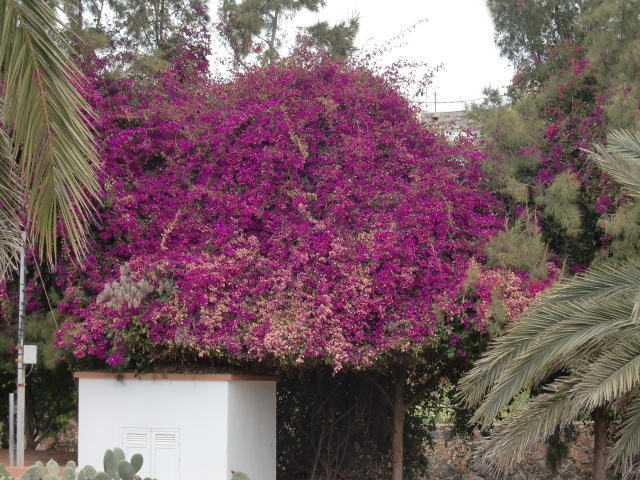 This was not a typical March day for Ferteventura! 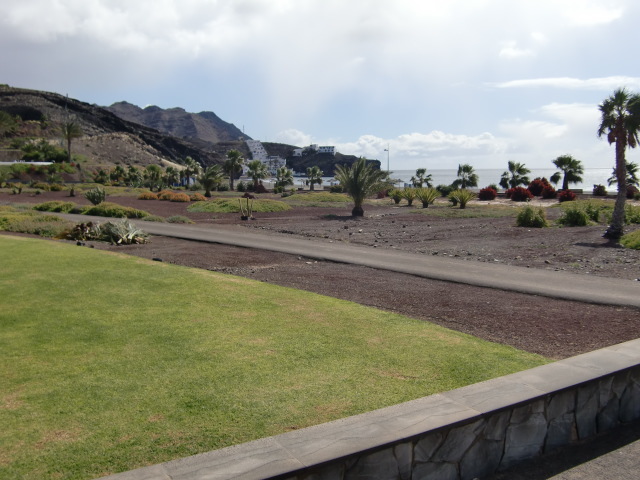 By noon the skies had cleared and I set of for Puerto del Rosario, the capital. By “capital” I simply mean the town where the seat of local government is. 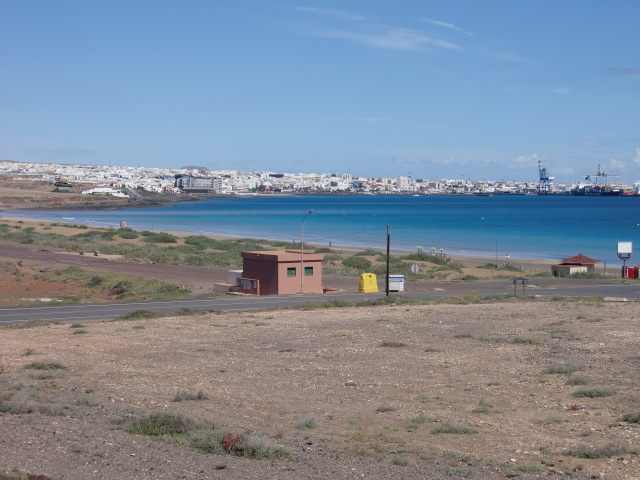 It´s population is only 8,500, but if you include the military barracks (which used to be the home of the Spanish Foreign Legion) it´s nearer to 17,000. I was gently cautioned by one of the military guards when my camera seemed focused on their headquarters. I pleaded my case! was immediately seen as a “persona non grata”. He was a liberal thinker and champion of freedom of speech, so was seen as an imminent threat to the new regime. 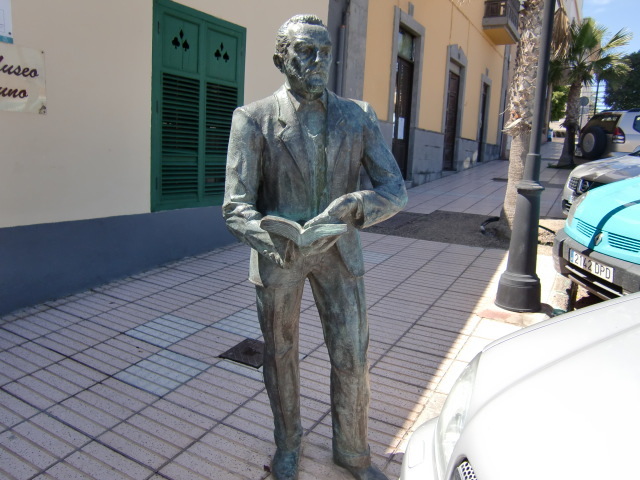 He was dismissed from his professorship at Salamanca University and sent into exile. 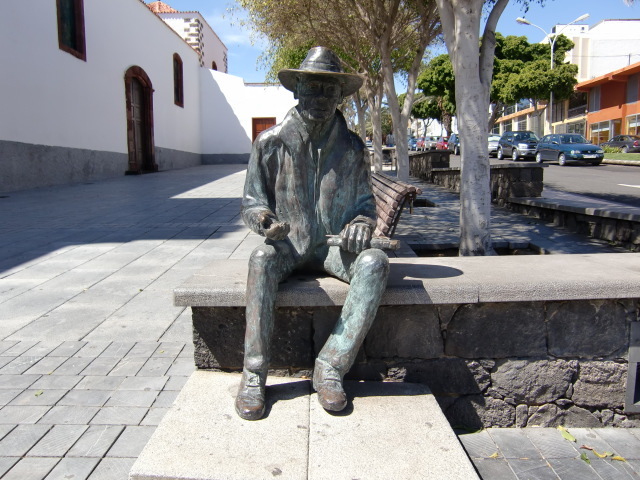 His house is now a museum where the walls are bedecked with the many complimentary poems and writings about his time in Fuerteventura. He took the place to his heart. and furnishings, but they were closed to the casual visitor like myself. 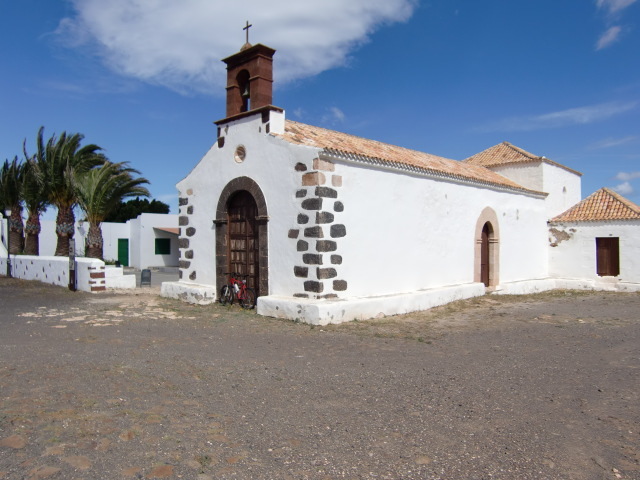 When I made an enquiry at a local house, I was told that the church in El Time is only opened one Sunday a month, and that is for mass. Unfortunately, such rich treasures have to be kept secure behind locked doors, to protect them from “chorizos”. (Now, we all know that a “chorizo” is a garlic pork sausage, but is also a pejorative term for louts and thieves). 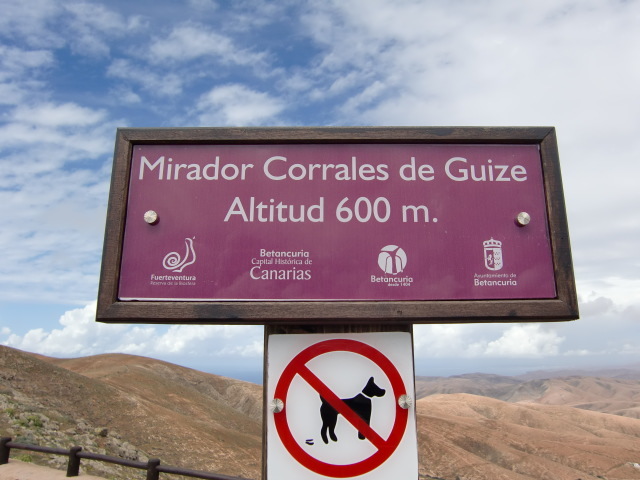 Fuerteventura, one of the islands in the Canarian archipelago, seems to be one of the least known. But on my first sortie this morning on a hired mountain bike, I discovered that this is a favourite place for the cycle training camps. I pass (or should I say, they pass me!) countless groups of ´roadies´ wearing their full lycra kit, riding the latest carbon fibre frames. I am puzzled. 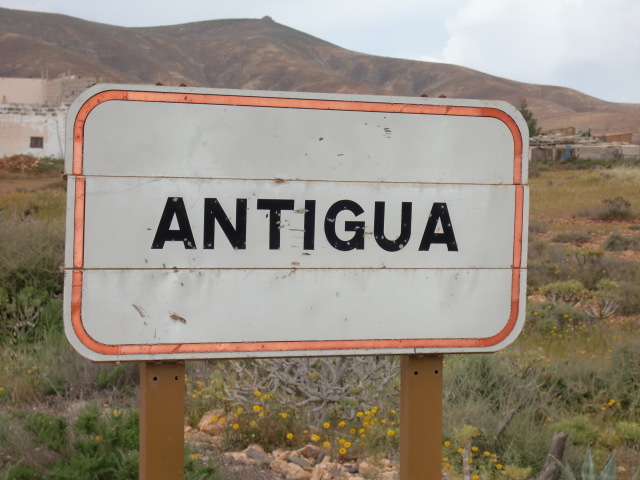 I discover later, talking to one such rider, that there is a large training camp to the south of the island, and they are all out in force today. 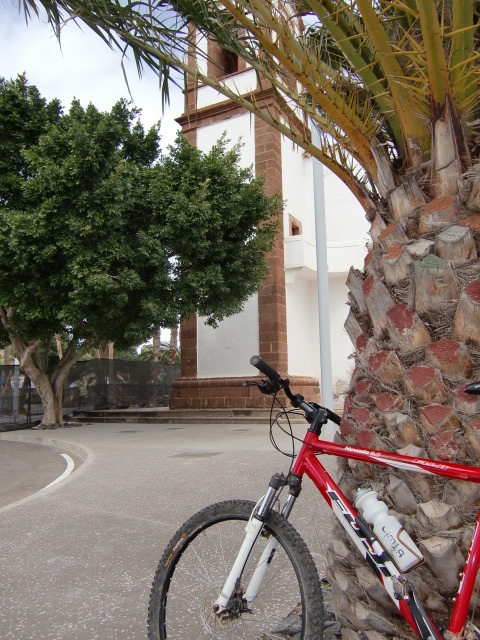 I have come over for an indulgent week of cycling and, instead of paying the exorbitant Ryanair tariff for carrying a bike (80 GBP return), I opt for hiring a bike from a local business in Caleta de Fuste (50 euros for six days, including all the extras like helmet, pump, SPD pedals, puncture repair kit). It´s a good deal, and saves the infinite hassle of transporting your own bike. indigenous people, prior to European occupation, were the Guanches and, like so many indigenous people of occupied islands, they were coerced into slavery and their ethnic line gradually disappeared, through a combination of premature death and intermarriage. 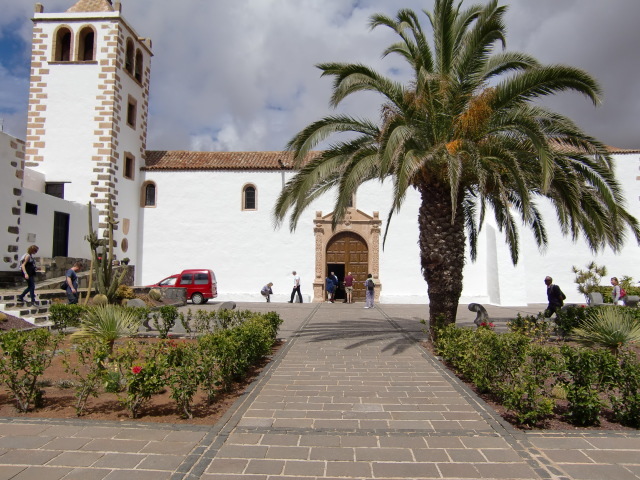 Why were they called the Canary Islands? Well, not because of the famous little bird that sings endearingly in little cages. They, in fact, were named after the islands. 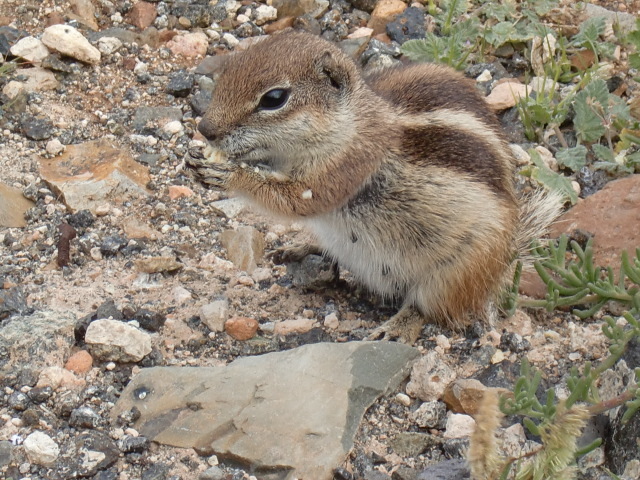 The name “Canary” probably comes from the days when Pliny wrote (2nd century) about the archipelago, and made reference to a breed of dog known only on the islands. The word “canary” is likely to be a corruption of the latin word “canis” (from which we get the word ´canine´). that it is a combination of the two Spanish words “fuerte”(strong) and “viento” (wind). This might be confirmed by the popularity of the island amongst windsurfers, where international competitions take place at the south end. 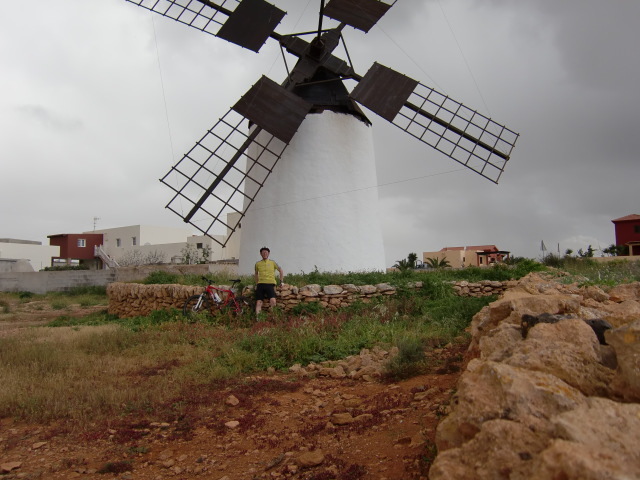 And, as you would expect, if there is a lot of wind, there are likely to be windmills. 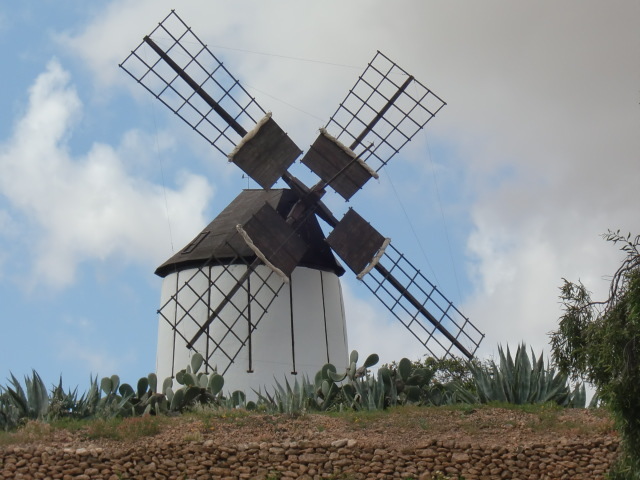 There are so many of them that I expected to see Don Quijote, alongside his faithful valet Sancho Panza (Sancho the belly! ), jousting with the odd one. What do you think this sign is warning you about? Deer jumping across in front of you? Well, that seems an obvious answer, but not in this case. These are warning you of goats! Why? 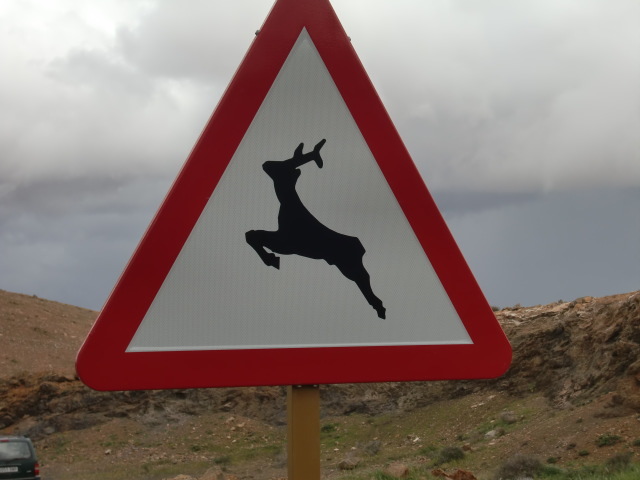 Well there are only two internationally recognised signs warning of roaming animals: the cow and the deer. So they have to use one of those! 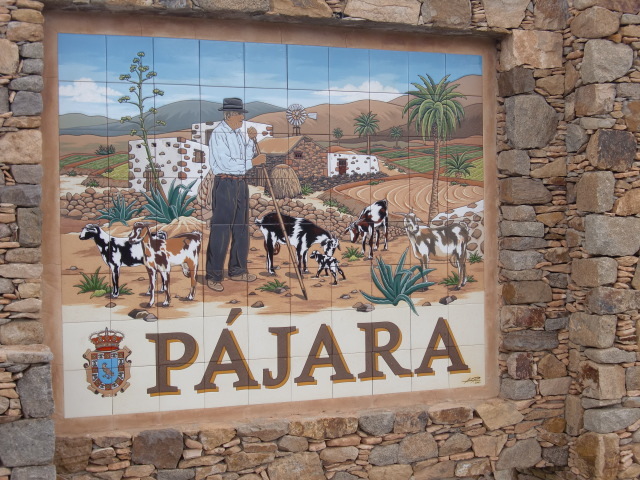 The island is “infested” with goats, hence the typical cheese of the island is goat´s cheese. And delicious it is too, especially when it is the soft variety. 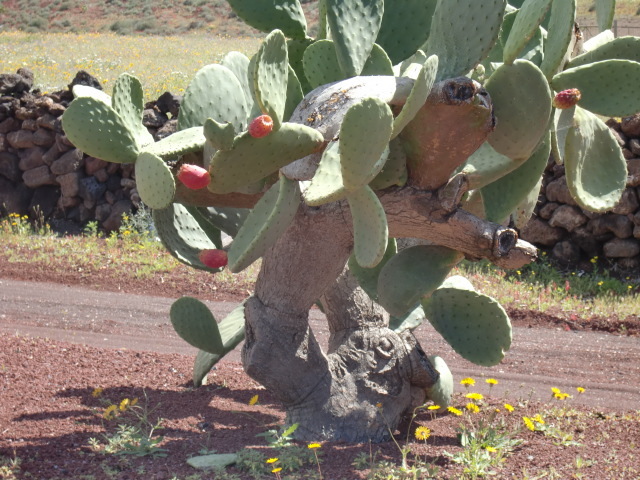 Being on Fuerteventura, where the average rainfall for March is only 2mm, I might rightfully expect to have a dry week. The clouds loomed large all day, then in the afternoon I was caught in a deluge, and was tracked by the rain all the way back to base. 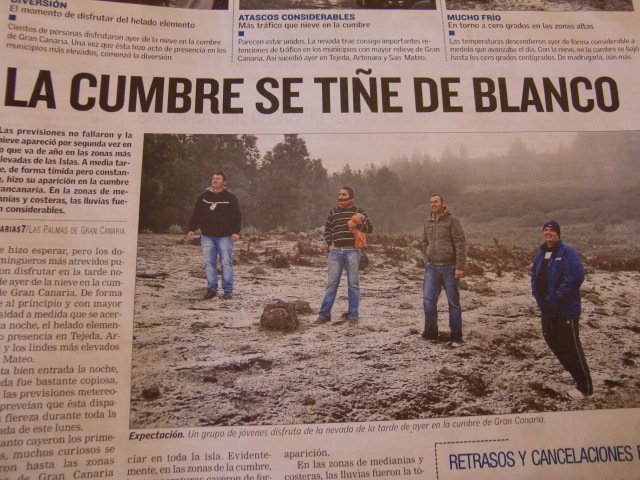 I reckon the island is set to break all records for March on the strength of only one day´s precipitation!